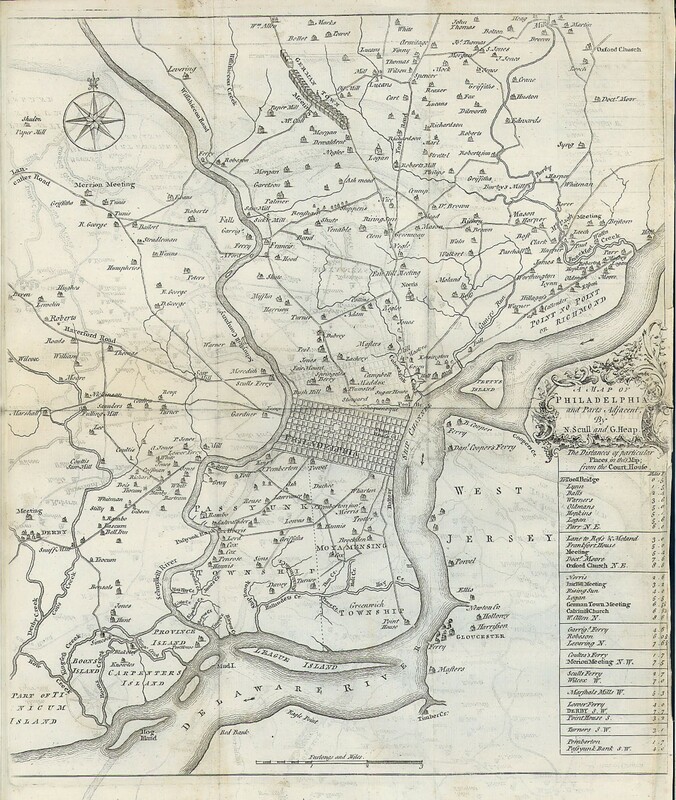 This Philadelphia area map appeared in London Magazine around 1754. The map was created by the famous map makers Scull and Heap of Philadelphia. As an expanded view of 18th Century Philadelphia presented in the 1801 Varle Map, the Scull and Heap map allows a detailed study of industry,residence and middling and upper sort property owners in outlying areas at mid century, the Humphreys Sr. saw mill for example. Many names are players in the American Revolution. 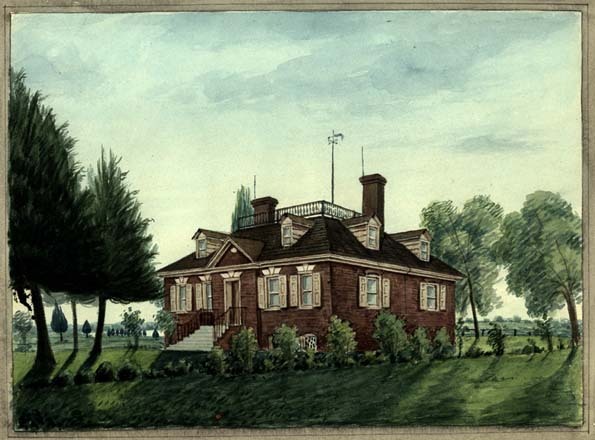 Other landmarks, The Schuylkill Fishing Club, ferry stations that preceded bridges across the Schuylkill River and the emerging mansions and notable owners in the Fairmount area are featured by the map makers. When used to build a present day snap shot of Faris's Old Roads Out of Philadelphia the map and field photo trips will reveal which buildings, landmarks and geographical features are still there today. Locate Merion Meeting on Lancaster Pike. Click and see this fine old building then and now. See the Merion Friends website for more detailed information.